Today, I want to dig into an early 2016 flop that I think is worth a second look: Jane Got A Gun. 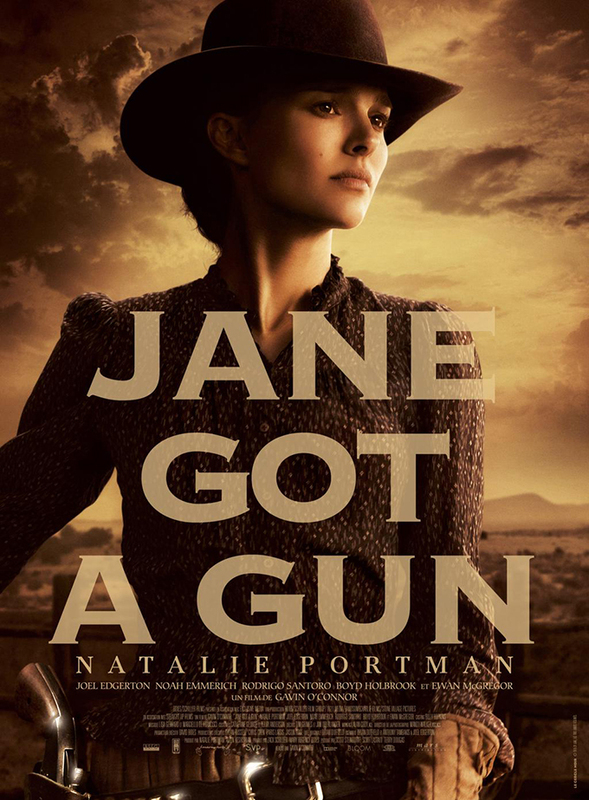 Jane Got A Gun has three credited screenplay writers: the duo of Joel Edgerton (The Gift, The Rover) and Anthony Tambakis (Warrior), and initial screenplay writer Brian Duffield (Insurgent). The director for the film was Gavin O’Connor, whose other credits include Warrior, Pride & Glory, and Miracle. He also directed the movie The Accountant, which released just a few months after Jane Got A Gun in 2016. The cast of Jane Got A Gun includes Natalie Portman (Black Swan, The Professional, Jackie, Thor, Heat, Mars Attacks! ), Joel Edgerton (The Thing, The Gift, Loving, Midnight Special, Black Mass), Ewan McGregor (Trainspotting, The Island, I Love You, Phillip Morris, Nightwatch), Noah Emmerich (The Truman Show, Frequency), Boyd Holbrook (Narcos, Milk), and Rodrigo Santoro (300, WestWorld). Mandy Walker provided the cinematography work for Jane Got A Gun, following up previous credits on films like Shattered Glass, Australia, Truth, and Tracks. The current critical success Hidden Figures is her latest shooting credit. The editor for the film was Alan Cody, who cut the films Speed 2: Cruise Control, Inspector Gadget, and Corky Romano, as well as a number of episodes of shows like Black Sails and The Pacific. The music for Jane Got A Gun was provided by the duo of Lisa Gerrard and Marcello De Francisci, who have worked on films like Samsara, Gladiator, Layer Cake, Tears of the Sun, and Ali. The original script by Brian Duffield was named to the 2011 Black List, which is a survey of the most-liked unproduced screenplays floating around Hollywood. Other screenplays that made the 2011 list and have since seen a screen treatment include The Imitation Game, The Accountant, Dirty Grandpa, Bad Words, and Maggie. Initially, Jane Got A Gun was planned to be a very different-looking movie than what ultimately hit the screen. Michael Fassbender, Bradley Cooper, and Jude Law were all at one point or another attached as main players in the movie during its tumultuous pre-production. Fassbender reportedly departed due to scheduling conflicts, though rumours also indicate a clash with the originally attached director, Lynne Ramsay (We Need To Talk About Kevin). Ramsay herself left the production shortly before filming over a conflict with one of the producers, which led to a lawsuit for breach of contract. Her departure saw both Jude Law and the cinematographer Darius Khondji leave as well, throwing the movie into last-minute disarray. This prompted a screenplay re-write, the arrival (and subsequent departure) of Bradley Cooper, and the last minute casting of McGregor to replace him. The initial release date announced for Jane Got A Gun was August 29, 2014. After a number of delays, and the production company Relativity Media ultimately filing for bankruptcy, the Weinstein Company acquired the film’s distribution rights, and quietly released it on January 29, 2016. On top of not being promoted much by the Weinstein Company (a Variety critic said it opened “with only slightly more advance notice than a traffic accident”), Jane Got A Gun ultimately wasn’t screened for the press ahead of its release, which is typically a sign of either a poor quality film, or an indication that the studio doesn’t care about the project. While it did get a wide theatrical release, Jane Got A Gun wound up being an early flop for 2016, raking in a paltry $3 million in its lifetime theatrical gross on a production budget estimated at $25 million. Critically, the movie didn’t fare any better. As of now, Jane Got A Gun holds a Metacritic score of 49, a 5.8/10 user rating on IMDb, and Rotten Tomatoes scores of 38% from audiences and 40% from critics. For those who have perused the countless accounts of last-minute cast changes, musical directors’ chairs and repeatedly delayed release dates, it may be difficult to objectively judge what actually appears on screen here without being distracted by thoughts of what could have been, or should have been. First off, I want to point out that I watched this movie a good while after its initial theatrical run, and didn’t do any reading into its background going into it. I only vaguely remember its brief theatrical release, and didn’t recall all of the behind-the-scenes shenanigans that plagued its production. I had the luxury of watching it with my girlfriend after coming across it on Netflix, in a relative vacuum of public opinion, industry gossip, an critical chatter. Personally, I think that the film is populated by good performances from the entire primary cast. I fully agree with Leydon, who specifically cites Portman as “persuasive and compelling”, Edgerton as hitting “the right balance of sullen gruffness and soulful sincerity,” and lauds how McGregor “artfully entwines amusement and menace as he serves generous slices of ham.” I particularly concur with his assessment of McGregor, who embraces his role of a western villain with a particularly emphatic mustache twirl. Likewise, I think Edgerton is probably one of the most underappreciated talents in the business: not only in regards to his performances, but with his writing and directing as well. If you haven’t seen them already, both The Gift and The Rover have been masterpieces of imaginative tension in the last few years, and both have his fingerprints all over them. The screenplay for the film provides a good siege setup, and allows the tension for the final conflict to build throughout the meat of the film. I particularly appreciate how it bounces between revealing flashbacks and siege preparations in the present day, which slowly reveal histories and relationships between the various players. I will say that I thought that the ultimate payoff was a bit lacking, and that the conclusion was pretty weak, but if you value the journey over the destination, there is quite a lot to enjoy here. As with the negative buzz and reporting that haunted Jane Got a Gun before its release, the production was also hexed with a handful of bad trailers, and a lackluster marketing campaign. Despite the way the movie was pitched to audiences, it isn’t really a story about Natalie Portman being a badass gunslinger. The tale is significantly more grounded than that, and far less showboat-y. Portman’s Jane is human and relatable above all else. The story begins as she is unexpectedly backed into a corner, and she then spends most of the film fighting with everything she has in order to hold her ground. At no point is she more than what she started as: she is always very human, even in the midst of combat. She never turns into a spontaneous superhero in a firefight, like Jamie Foxx’s Django. Because of this, Jane Got A Gun is more of a spotlight on an average person pushed to the edge than the story of a stereotypical badass. In a market dominated by cookie-cutter superheroes and badasses, it is actually kind of refreshing to see if you ask me. On top of that, Jane Got A Gun is a story that is imbued with a lot of emotions: grief, desperation, heartbreak, and fear most prominently among them. If an audience was expecting a relentless series of firefights to snack on popcorn to, getting hit with this heavy, darkly atmospheric movie probably wouldn’t be a welcome experience. Honestly, I wouldn’t have been satisfied with the result if I had seen the trailers for the movie ahead of time. On top of providing inaccurate representations of the movie, the international trailers were particularly bad about revealing too much information. Information control is kind of essential to this film: the reveals of past relationships, character traits, and outcomes of past events over the course of the film are key to maintaining the audience’s intrigue. The trailers, however, give far more information than is needed, spoiling a number of reveals that are far better when done organically in the film itself. I mentioned previously that I was disappointed with the film’s ending. Personally, I felt like it was far too tonally inconsistent with the rest of the movie: it is just too Hollywood, which feels out of left field for such a bleak movie. Not only does the optimistic ride into the sunset not work for the style or the tone of the screenplay, but it doesn’t logically work very well, either. For the sake of not spoiling anything, I won’t go too far into it, but last 10 minutes of the movie made me seriously wonder if there was going to be a Brazil twist. Overall, I think that Jane Got A Gun is a worthwhile neo-western, if not anything revolutionary. I think it certainly deserves some props, especially given the problems with production. 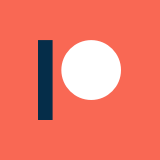 I’m still surprised at how harshly it was received by critics: I definitely get why audiences had trouble digging it, given its marketing, but critics are usually a different story. I suspect the initial hype and coverage over its long production poisoned the well a bit for them, and started a lot of people off on the wrong foot. The Weinstein Company not screening it for critics almost certainly exacerbated things as well. All in all, I think this film was a victim of semi-paranoid prognosticating on the part of the industry media and the online buzz-machine, and is worth another look. If you like Edgerton’s or O’Connor’s other works, or just have a fondness for neo-westerns as a genre, give this one a go. That said, know what you are in for: a slow-burning, emotionally-driven, grounded siege movie.